WASHINGTON (Reuters) -- U.S. safety regulators are investigating complaints of engine stall in 2006 Toyota Motor Corp. Corolla and Matrix vehicles, the latest in a string of quality issues to affect the Japanese automaker. The National Highway Traffic Safety Administration has received 26 complaints related to vehicles equipped with IZZ-FE engines. The review covers 397,000 cars sold in the United States. Motorists alleged random stalls, with some cases occurring in intersections and others on highways, according to NHTSA documents. The review was launched on Nov. 30. In many cases, motorists had trouble restarting the engine. There were no crashes reported in the complaints, NHTSA said. Several reports cited a Toyota service bulletin in 2007 calling for replacing the engine computer following complaints of stall. NHTSA's preliminary review does not mean a recall is likely. One could follow if the investigation moves beyond the paperwork stage and regulators affirm the allegations and identify a design or parts defect. Toyota's carefully built reputation for quality has come under a cloud in the U.S. market in recent months as it fights restructured domestic manufacturers and other rivals for business in a sluggish market. Toyota announced in November it would fix gas pedals on 3.8 million vehicles to address a safety issue linked to bursts of unintended acceleration and crashes, some of them deadly. It was the largest recall in the automaker's history. Just before that action, Toyota said it would recall about 110,000 older model Tundra pickups due to corrosion problems. Analysts say Toyota's brand loyalty is strong and its vehicles are among the most fuel efficient on the road, a priority for millions of U.S. motorists seeking to lower their gasoline costs and reduce their "carbon" footprint. 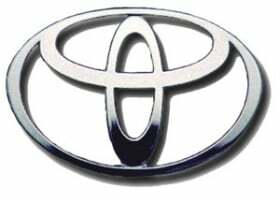 Some of Toyota's quality problems, experts say, are related to its strong sales growth globally in recent years.